Austin 360 Roofing Provides Extensive Repair Service and Insurance Claim Management for Simpson Property Group | 360 Roofing, LLC. (AUSTIN, TX – March 16, 2009) Austin 360 Roofing, a leading, Texas-based roofing company, announced the completion of a roofing repair project for a 17 building, 250,000 square foot Simpson Property Group apartment complex. The project was completed in only three weeks, and by using state of the art satellite and GPS technology, Austin 360 Roofing was able to identify several inconsistencies in the adjuster’s measurements and accurately negotiate the payout of the claim to reflect an accurate replacement cost for the project. 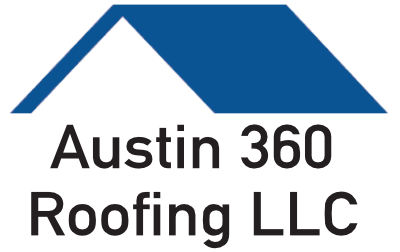 Austin 360 Roofing was originally hired to repair a routine roof leak caused by a hailstorm at a Simpson Property Group apartment complex located in Austin, TX. The company fixed the leak immediately, preventing water from penetrating residents’ apartments. During a full, free assessment of the roof, it was discovered that the extent of the damage was severe enough to file an insurance claim. Austin 360 Roofing actively managed the claims process for determining the full scope of repairs to the roof and gutter system. Based on negotiations with the claims adjustor, Austin 360 Roofing secured a settlement that was considerably higher than the insurance company originally offered due to some inaccuracies in the adjuster’s initial measurements and covered damages not originally included in the report. Managing the insurance claim was one aspect of Austin 360 Roofing’s service to Simpson Property Group. Completing the endeavor in a timely manner was also critical to the company’s business objectives. “One of the biggest concerns of apartment communities is that a roofing project will last several months, and that it will be noisy and messy. That can be upsetting to residents and can interfere with new leases,” Wiest said. “That was the situation with Simpson Property Group. Austin 360 Roofing is the leading roofing company in Texas, specializing in houses, apartment complexes, office buildings, and industrial parks. The company provides expert craftsmanship in asphalt shingles, tile roofs, metal roofs, flat roofs, and green roofing solutions. Additionally, Austin 360 Roofing manages all aspects of insurance assessments and negotiations for roof repair due to hail, rain, lightning, wind, and fire damage. The company is locally owned and operated in Austin, TX, but also serves the Dallas, Houston, and San Antonio areas. For more information seewww.austin360roofing.com.